The 7 Pot (7 Pod) Chili is from Trinidad and one of the hottest chillies in the world with heat levels over 1 Million Scovilles. Its name refers to the saying that one pepper is hot enough to spice 7 pots of stew. 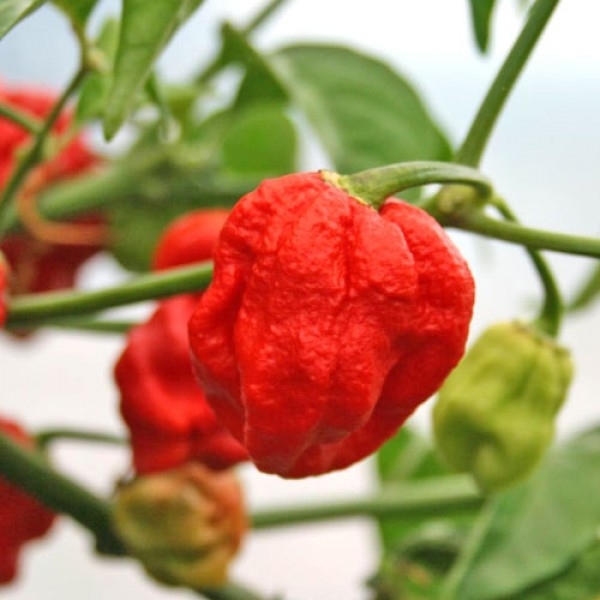 The 7 Pot Chili is related to the Trinidad Scorpion Pepper and has a rough, pimpled skin, but its shape is more plump and its flavour is more fruity. The Chili Powder has a deep red colour, a fruity and aromatic flavour as typical for the Capsicum chinense varieties, and an intense long-lasting heat.